Janice Green was a Fellow in the American Academy of Matrimonial Lawyers (1996-2017), listed in Best Lawyers in America (2008-2017, published by Woodward/White, Inc. of Aiken, S.C.), and named a Texas Super Lawyer (2003-2018, published by Thomas Reuters/West and Texas Monthly). 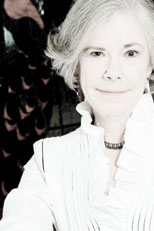 She has been a partner in Farris & Green since 1984. Professional licenses held by her are Board Certification in Family Law, Texas Board of Legal Specialization since1985; licensed by the Supreme Court of Texas since 1976; admitted to practice before the U.S. Supreme Court (1988) and Fifth Circuit Court of Appeals (l982). Member of State Bar of Texas Family Law Section, Family Law Foundation of Texas, Collaborative Law Institute of Texas, International Academy of Collaborative Professionals. Served on the Family Law Council of the State Bar of Texas; President of the Travis County Family Law Advocates; Vice-Chair of the Travis County Bar Association Family Law Section; Chair, Board of Directors of Advocacy, Inc.; Chair, Board of Trustees of the Helen Graham Park Foundation. Her educational achievements are Phi Beta Kappa and High Honors graduate from the University of Texas in Austin (1971), an Honors graduate from the University of Texas School of Law (1975), and a member of the Psi Chi Honorary Psychology Fraternity and Phi Delta Phi Honorary Law Fraternity. She is a frequent and popular lecturer at professional continuing education courses sponsored by the State Bar of Texas, University of Texas School of Law, Collaborative Law Institute of Texas, financial planning associations, and other states' legal organizations. She received the National Speaker Award from the State Bar of New Mexico.